MMMusic Monday. Another recurring Twitter topic. In this case, users post a song or two that will get your week off to a better start. NSFWNot safe for work. If this is attached to a link, you’re strongly advised not to check it out while in the workplace or any other venue where inappropriate content would be, well, inappropriate. NSFLNot safe for life. Usually a humorous disclaimer that something formerly innocent is going to be irreparably sullied if you click the link. QQ Rather than an abbreviation, this is an emoticon, a picture created in text. The tails of the capital Q form tears, while the circles are the eyes. Saying “QQ” aloud also can mimic the “boo hoo” of someone who’s upset. Usually used sarcastically or contemptuously. RUOKAre you okay? In Australia, #RUOK is a regularly trending topic, following a government initiative called RUOK Day, which raises awareness of mental health issues on social networking sites. The Internet – Are you addicted? The Internet has become a massive part of our day-to-day lives, especially for the younger generations. The Internet is constantly at our fingertips, whether it’s from our phones, tablets, computers and even our watches, it is everywhere! With the Internet being accessible from pretty much anywhere this is where abuse may come into the picture, and Internet addiction is a very real thing. Internet Addiction Disorder (IAD) and Internet Use Disorder (IUD) and Problematic Internet Use are what people are referring to when talking about Internet addiction; this disorder can be a huge difficulty especially for young people. As a parent you need to be there for your child, especially during this day and age. No one can deny the usefulness of the Internet, everyone uses it and it is extremely helpful in all walks of life. The convenience of the Internet is undeniably it’s greatest accomplishment by making normal tasks ten times easier at the click of a mouse. However where there are benefits there are also downfalls, especially with young people who are easily hooked on Internet usage. With the Internet being there for almost all of their lives the younger generation are completely dependent on the Internet. We live in an age where scientists and psychologists suggest that some internet addictions can be just as harmful as alcohol and drug dependencies, and that IAD could be added as a psychiatric disorder under Diagnostic and Statistic Manual of Mental Disorders in the Fifth Edition or DSM-V. Studies have been carried out because of the rising numbers of deaths related to the Internet; especially in countries such as South Korea where there have been 10 death’s involving heart problems and other excessive Internet usage related health issues. Meanwhile, in China reports say that one in six Chinese people are dependant on the Internet. This can pose as a huge threat for parents as children are more susceptible to the influences of the media. Truly the signs may differ from child to child as there are endless possibilities of the sites and usage they could be addicted to. You need to keep and eye out and know what is normal for your child and keep an eye out for any changes in behaviour regarding the Internet. A lot of these signs may also suggest that your child may be doing something online that they shouldn’t, you should talk to your child openly about their usage and try not to alarm them that you may be concerned. As a parent you are responsible for your child and you need to look out for these signs as they could have serious physical or emotional effects on your child and their future. Monitor computer usage and set clear limits – some internet providers will let you set timers on your child’s usage of the internet so contact your provider and find out about the options available to you. Helpful apps – you can download apps onto your child’s phone that will monitor and limit your child’s Internet usage and web browsing at different times of the day. In recent years the art of ‘Trolling’ has come around due to the easiness of the internet, and with it widely accessible to most people it is growing. Young people are more at risk of this type of abuse as they are more active online and on social media, also they are more likely to be the Trolls themselves. Internet trolls are people who post disruptive or inflammatory comments online in order to provoke fellow readers. This means that it can be any kind of abusive or disruptive message towards a person, company, team etc. This act is done anonymously and can often be extremely upsetting for the target. There hasn’t been a lot of research into the trend of ‘Trolling’ yet as it is a relatively new trend although it has been said that Trolls are often people who find it hard to interact with people outside the online world. They are often introverts who spend a lot of time online, also the fact that the posts, referred to as ‘flaming’, are anonymous it means that even people who would never act this way in real life, believe that they are untouchable online. It has been said to provide anonymity and temporary identity loss, this is called deindividuation which is also linked to trends such as crowd behaviours and hooliganism. The term ‘keyboard warrior’ is often how someone like this is referred to as, this is because it is though they are hiding behind their keyboard and their hidden identities. These trolls can often be very malicious, they target anyone they like, and have even been reported to target remembrance sites for loves ones that the families and friends have posted on social media sites. Trolling can be extremely distressing for the target as they will feel singled out and upset, it is important to look out for signs that your child may be being targeted and also make sure you know what they are getting up to online, talking regularly to them about their online activity will make this easier and mean they are more likely to come to you if they ever do have an issue. These trolls may be anonymous to start with but in serious cases the police have got involved and they have been prosecuted. Trolling is illegal and can result in serious consequences. On most social media there are ways of reporting people and accounts and also comments, these sites such as Facebook and Twitter are very good with these incidents and are often quick to respond and deal with the Troll. It is often a good idea to keep a copy or print screen of these comments in case you need them as evidence in the future. It , like any form of abuse, is illegal, you should educate your children firstly what to do if they see any abuse of this kind online, and also that anything they do online is not completely anonymous, relate it to the real world saying of ‘treat people as you would want to be treated’. It is also a good idea to remind your child to have good ‘nettiquite’ as you in the future your online reputation could influence your chances of getting a job or a place in college or university. 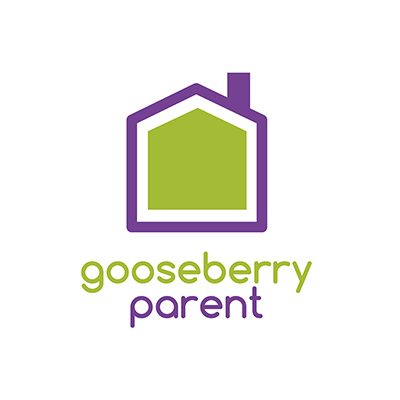 When it comes to online activity, parents are particularly concerned about their children unknowingly interacting with predators, closely followed by sharing inappropriate information or images with others – the two founding reasons why Hampshire mum Stella James, the driving force behind Gooseberry Planet, set about developing the engaging App designed to help 4‑16 year olds to learn through safe digital gaming. It’s also important to remember the five core ‘cyber parenting’ tips that can help achieve online safety. 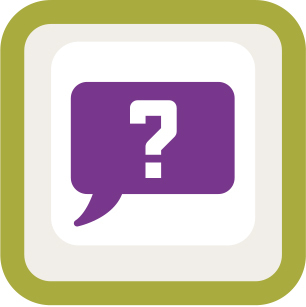 Connect: Frequently chat with your children about the online risks, and make sure the communication lines are open. Also stay knowledgeable about the newest and latest social networks and how they work if your kids are on them. Password Rules: Explain the dangers of sharing online passwords but also ensure that as a parent you have access to passwords, sites and your children’s devices so you can periodically check what’s being said and done. Also regularly check the privacy settings. Apps: Parents should know which ones your children are using and ensure that they have come via a reputable app stores. They also need to examine the privacy disclosures and settings and if they share locations, be sure that only the right people have access to that location information. Games: Simply checking the age rating is not enough – We’ve all heard about kids racking up massive online “in game” purchases (which you’ll want to avoid) but certain games also allow chat with other players. So be sure your kids are careful about the information they disclose. Browser settings: It goes without saying that controlling what your children can assess via the internet needs managing and with smartphones becoming ever more powerful more information can be easily accessed. You may have agreed to a data download bundle – but do you know what content are they accessing – regularly ask what they’ve been searching for? 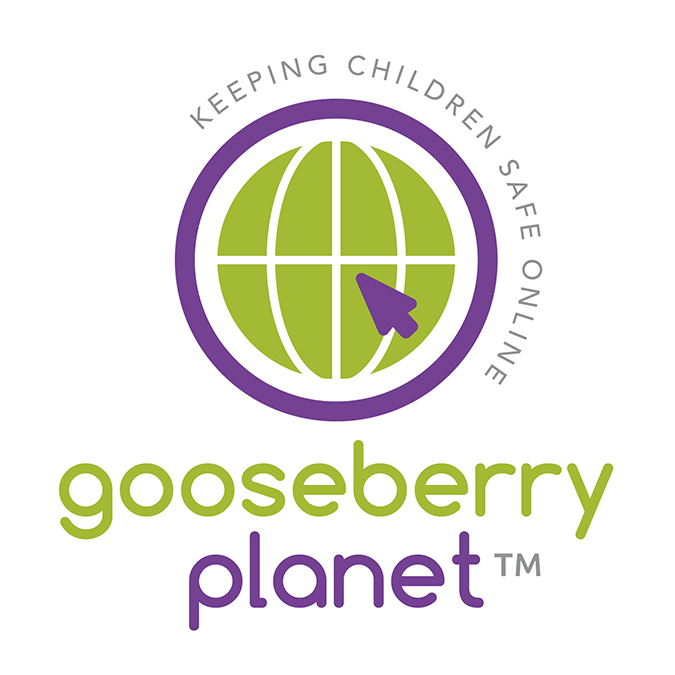 Back in late 2013 Stella couldn’t find any engaging tools her kids would want to use to learn about online safety so started to visualise and developGooseberry Planet which in now going down a storm with kids, parents and teachers alike. The engaging budget app for PCs, tablets and smartphones, informs 9‑14 year olds about online dangers and teaches them to recognise the risks and so keep themselves safe. Available for download in four instructive and interactive tiers it also includes a parent app about how best to develop discussions and guide their child about remaining safe online.